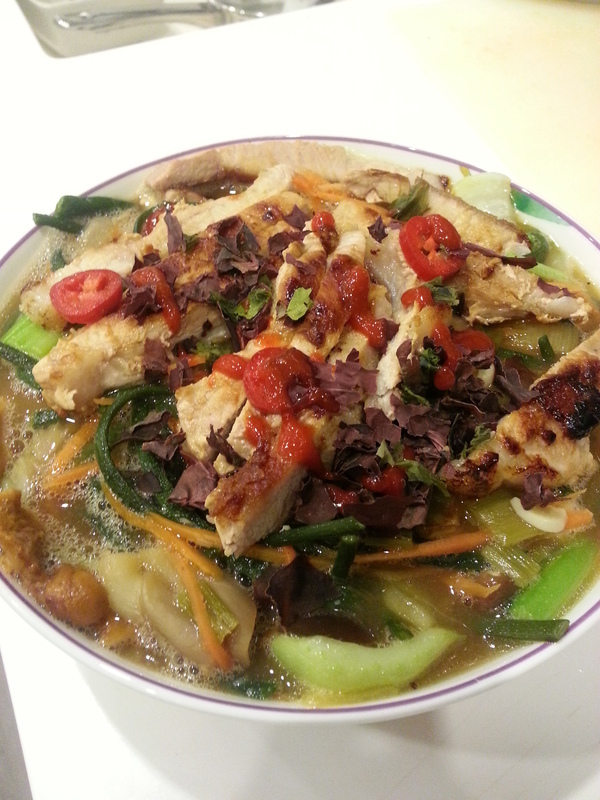 What do you eat when you’re craving a hot bowl of soup with a spicy kick? Well, this version of sriracha pork ramen did it for me! I topped with hot red chilies and wakame flakes, as well as a drizzle of sriracha sauce. 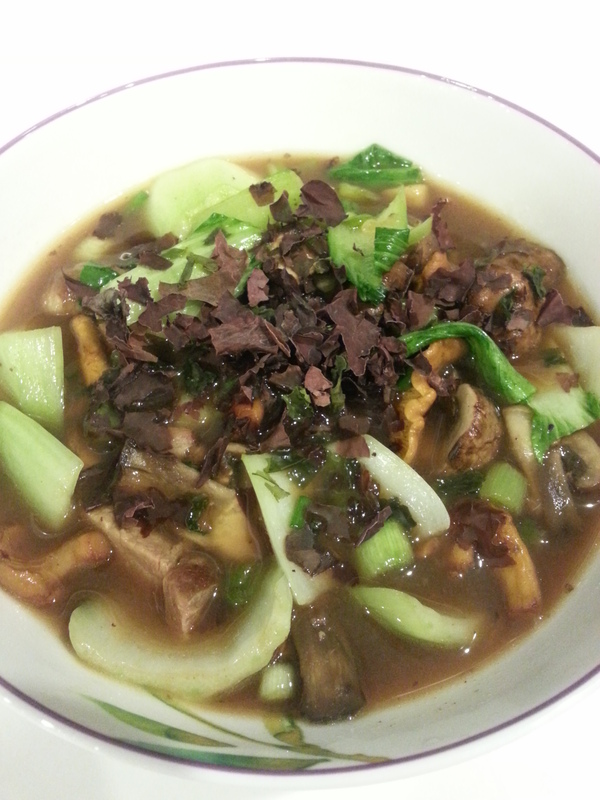 Posted in broth, dinner, noodles, pork, soupTagged bok choi, carrot, chicken stock, chili, courgette, cucumber, garlic, ginger, mushroom, oyster, pork, seaweed, shiitake, spring onion, wakameBookmark the permalink.